Incredibly, there are still bargains to be had in some places. 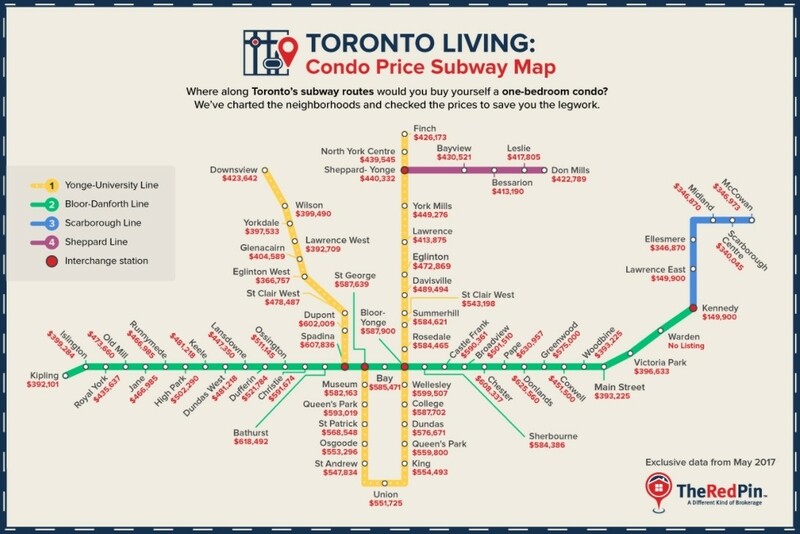 It’s a fact that homes in Toronto are more expensive near the subway — something of a conundrum, since it’s low-income earners who need transit most. But even within reach of one of Toronto’s coveted subway stations, you can still find bargains. According to data from listing site The Red Pin, it’s still possible to find a one-bedroom condo for $150,000 — you just have to move out to the far east end of the Bloor-Danforth line. Here are the average selling prices for condos, by subway station. “The sheer diversity of the Toronto property market is clear for anyone to see," The Red Pin says on its blog. Diversity indeed. At the other end of the spectrum, you’ll have to spend an average of $2.7 million to buy any kind of property near Lawrence Station, the priciest dot on the subway map. Here are the average selling prices for all types of housing, by subway station. Here are the average selling prices for townhomes, by subway station. 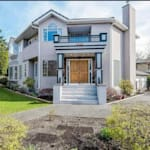 And if Toronto house prices have been making you despair of ever buying a home or upgrading, take heart in the fact that the region's housing market has shown strong signs of cooling. If the bears are right and Greater Toronto is headed for a housing correction, more of these subway stations could prove affordable in the future. But given Toronto’s performance in recent years, it may make sense not to hold one’s breath.